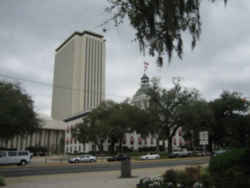 Links to histories and biographies of the famous people of Florida. 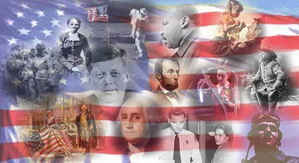 Many famous people of Florida have made significant contributions to the history of our nation and the state of Florida. 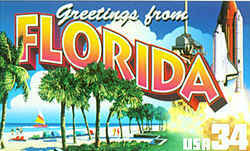 These famous Americans, famous entertainers, famous players, famous scientist, famous singers, famous statesmen, famous women, heroes, great explorers, and others Florida famous Americans have all made Florida their home. 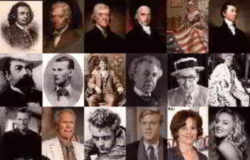 This list includes Florida historical figures, celebrities and those individuals of Florida who have influenced the lives of others. Gloria Estefan (born September 1, 1957) Gloria Maria Milagrosa Fajardo García , known professionally as Gloria Estefan , is a Cuban-born American singer, songwriter, actress, and entrepreneur. The Fajardo family fled to Miami, Florida as a result of the Cuban Revolution and settled down there. She is in the top 100 best selling music artists with an estimated 100 million records sold worldwide, 31.5 million of those in the United States alone. She has won seven Grammy Awards and is the most successful crossover performer in Latin music to date.Estefan was born Gloria MarÃ­a Milagrosa Fajardo on September 1, 1957 in Havana, Cuba, to JosÃ© and Gloria Fajardo. Her maternal grandfather, Leonardo GarcÃ­a, immigrated to Cuba from Pola de Siero, Asturias, Spain, where he married Gloria's maternal grandmother, originally from LogroÃ±o, Spain. Prior to the Cuban Revolution, her father was a Cuban soldier and a bodyguard to Cuban dictator Fulgencio Batista. Zora Neale Hurston Although author Zora Neale Hurston was actually born in Alabama, she considered Florida her home. She attended Howard University and had her first manuscript published there. Later, she moved to New York and became part of the Harlem Renaissance of the 1920s along with other African American writers like Langston Hughes. Her most powerful work is usually considered to be "Their Eyes are Watching God." Janet Reno (1938 - ) Born in Miami, Janet Reno is the first woman to hold the office of Attorney General of the United States, having been nominated to the position by President Bill Clinton. Prior to holding that position, she served as State Attorney for Florida. She may be best remembered for her involvement in two highly controversial events: the return of young Elian Gonzalez to his family in Cuba, and the decision to attack the Branch Davidian complex in Waco, Texas. Despite a recent diagnosis of Parkinson's disease, Reno has stayed involved in politics, and made an unsuccessful run for Governor of Florida in 2002. Charles Ringling (1864 - 1926) and John Ringling (1866 - 1936) Co-founders of Ringling Bros. and Barnum & Bailey Circus, were born in the late 1800s. Ben Vereen Born in Miami, Ben Vereen won a Tony award for his performance as the "Leading Player" in Bob Fosse's Pippin. Despite a near fatal car accident in 1992, Vereen has continued to sing and dance on Broadway, most recently in Jelly's Last Jam, and has also appeared on television and in film. Find more more Florida famous people below. You may not even realize many of these famous people were born in Florida or notable associated with Florida, including actors, actresses, explorers, historical figures, inventors, musicians, novelists, professional athletes, important politicians, singers, sport stars and more.